So I tried out the My Beauty Diary Platinum Mandelic Acid Brightening Mask for the first time tonight, and I was pissed off for the entire 30 minutes I had it on because of the mask sheet material. 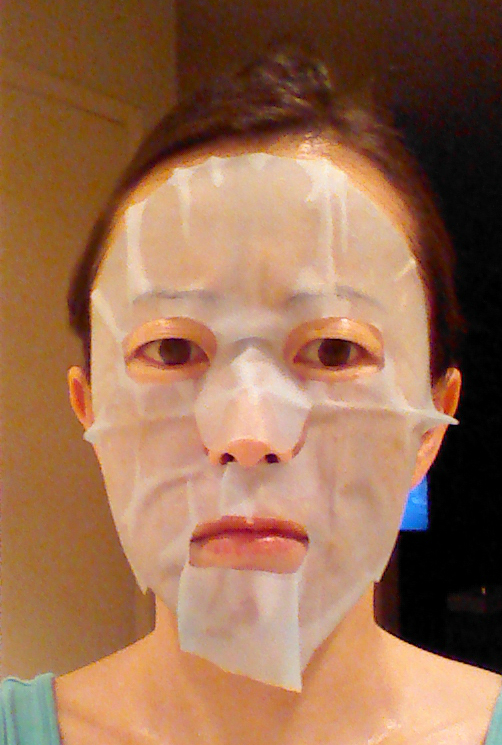 The blue mask sheet was thick, stiff, and would not conform to my features or adhere to my face. Especially on my chin. Then I took the mask off and tossed it in the wastebasket, and that’s when something thin, white, and flimsy fell off of it. Uh…the thin white flimsy thing was the actual mask. I spent 30 minutes wearing one of the mask backings instead and getting all mad over nothing. Review of the mask is here. What’s the most embarrassing skin care mistake you’ve ever made? ← Sheet Mask Battle Royale, Citrus Edition! Haha I did pretty much the same thing recently, I picked up a no-name brand that I didn’t recognise and it had a weird texture to it and I thought “hmm maybe it’s just made to try and shape/fit your face better?” and it just kept slipping off and I had a real “doh!” moment when I realised that it was just part of the packaging! Derp! Waitwait. You can wear a hydrogel inside out? Tell me more. I’ve probably done this without realizing it. I’ve only ever tried the Mememask, but one side is wetter, has a jelly substance on it and therefore adheres better. To check if I have the right side, I try to scrape a bit of the jelly off. That first time, I wore the non-jelly side and it kept slipping down my face.